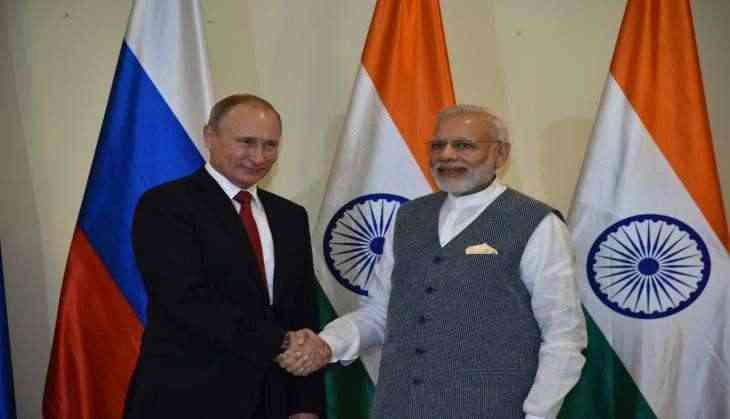 India and Russia today reviewed their bilateral cooperation in a range of sectors, including civil-nuclear, trade and investments, ahead of the annual summit between Prime Minister Narendra Modi and Russian President Vladimir Putin on June 1. "We decided to take forward our cooperation in civil nuclear, trade and investments among other areas," External Affairs Minister Sushma Swaraj said after talks with Russian Deputy Prime Minister Dmitry Rogozin. During the meeting of India-Russia Inter-Governmental Commission on Trade, Economic and Cultural Cooperation (IRIGC-TEC), a key forum to address major issues concerning bilateral ties, both sides also took stock of the implementation of various key bilateral initiatives. Both Swaraj and Rogozin also deliberated on preparation for the annual summit between Modi and Putin to be held next month in Russia.